Richard Trevithick was a British engineer of the eighteenth century, widely believed to have invented the world’s first steam locomotive. He was the youngest child of six, born on April 13, 1771 in the mining quarters of Cornwall, England. As a child he was not particularly interested in academics and was often chastised by his school masters for being inattentive and slow. He did have an aptitude for Mathematics but often used unusual methods to arrive at the answer. He was tall and powerfully built and was a good sportsman, particularly a wrestler. His height and build were so extraordinary that he was sometimes referred to as the “Cornish Giant”. Despite his academic shortcomings, Trevithick took to the profession of engineering with an alacrity that was surprising to many. He seemed to have an inbuilt ability to solve problems that sometimes even accomplished engineers failed at. His first job was as an engineer at the Cornish ore mines. At that time, pumping and lifting the ore from the mine was an extremely tedious and expensive process. This led Richard Trevithick to ponder the development of a steam engine that would prove to be more efficient and much cheaper to run. A large, low pressure engine had already been invented by James Watt and Trevithick aimed to improve on this by utilizing high pressure steam. In 1797, while working at the Ding Dong mine at Penzance, Trevithick successfully created a high pressure steam engine for lifting ore from mines. This invention soon became very popular in Cornish mines and Trevithick then turned his thoughts towards creating a locomotive. The first one of these was developed in 1801 and demonstrated to the public on eve of Christmas of the same year by taking seven of his friends on a short trip on the locomotive. His steam engine came to be called the “puffing devil” due to the exhaust released when it was run. Trevithick made several attempts at modifying his engine to make it more commercially viable and obtained a patent for developing a high pressure steam engine in 1802. He showed some of his prototypes to the inventor James Watt, who disregarded them as he considered high pressure steam engines to be too dangerous for fear that they would blow up. In fact, in 1803 one of his steam engines did blow up, killing four men in the process. This fact was exploited by Watt to hamper Trevithick’s research as the two were competitors. 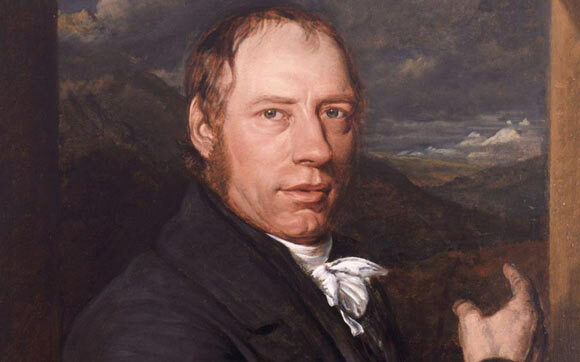 Richard Trevithick continued his research however, and found a number of different financers to back his projects. One version of his locomotive was named “Catch Me Who Can”; this was developed in 1808 and ran on a circular track in Euston Square, London at the speed of 12 miles per hour. Trevithick charged one shilling per passenger for a trip on his locomotive. However, this venture did not last long as the locomotive proved to be too heavy for the track and kept getting derailed. He developed some other designs as well, backed by different parties each time as the old ones withdrew due to lack of results. Some of his other designs included Newcastle Locomotive, Pen-y-Darren Locomotive and Coalbrookdale Locomotive. In 1816, Trevithick accepted an engineering job in a silver mine in South American country, Peru where he was very successful and made enough money to acquire his own mines. However, due to a coup in Peru, he was forced out of the country and had to leave his wealth behind. Upon his return to England, he was unsuccessful in most of his ventures and died poor at the age of 63 in 1833. He was buried in an unmarked grave and had no friends or relatives at the time of his death. He received little recognition during his life but after his death, other scientists and engineers continued his legacy and firmly established his work as monumental towards the development of the modern steam engine.